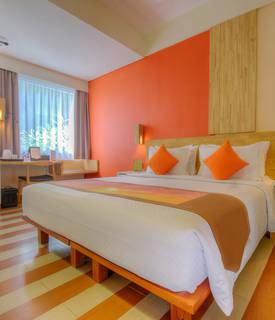 The ONE Legian Hotel provides 301 modern and fully air-conditioned rooms with minimalist design that deliver exceptional comfort to guests. 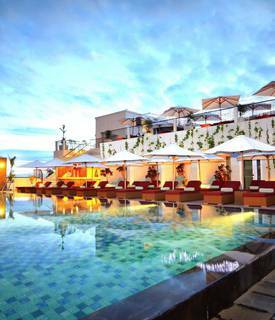 Thanks to a fantastic location in the heart of the “happening area”, this modern 4-star hotel in Legian, Bali is a perfect choice for leisure travellers seeking unforgettable fun-packed Bali experiences. 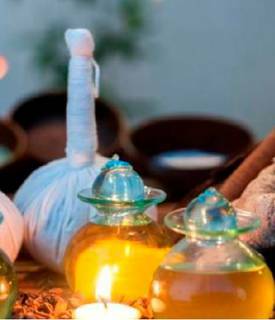 The friendly and efficient team a tour leading lifestyle hotel in Legian, Kuta provide the best of Balinese hospitality and are fully focused on ensuring memorable experiences at highly affordable rates, guaranteeing that The ONE Legian Hotel offers magnificent value for money. Only 7 kilometres from Ngurah Rai International Airport, The ONE Legian Hotel is within walking distance to shops, restaurants and nightlife, and features an outdoor rooftop pool, a ground pool, two restaurants, a spa, mini gym and event space and facilities. Free Wi-Fi is available throughout the property. Book your stay with us now on the official website of The ONE Legian Hotel and get the lowest rates available anywhere online. GET A CHANCE TO WIN !